Everywhere I look I have seen starfishes leaving home decor and landing around necks or wrists. 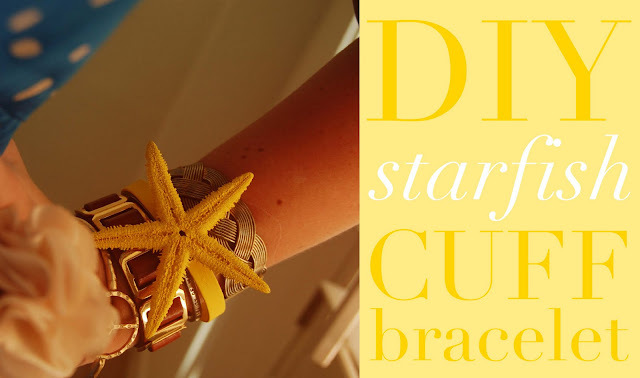 I was inspired by bright colors and the natural beauty of a starfish to land it on my wrist. I had the original intent of making the fish gold but with not the write paint it looked to dull so I opted for a bright yellow instead. I love the look of it piled on my wrist with other bracelets I have collected. The steps are simple in this DIY. 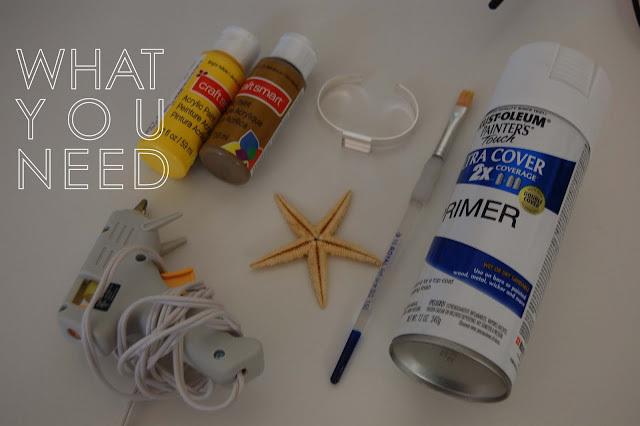 To prepare the metal and starfish for paint simply spray with a white primer. This will help whichever type of bracelet you decide to use hold the paint better. 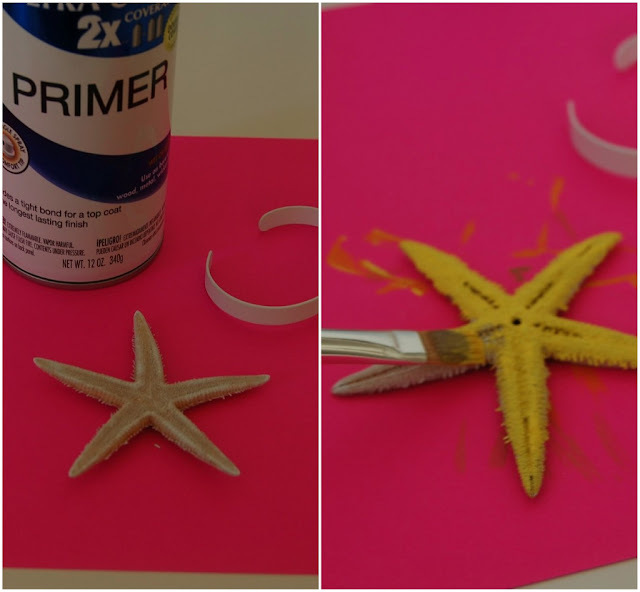 Once primer is dry, paint with bright color of choice and wait to dry. Simply hot glue starfish to cuff and you're done! 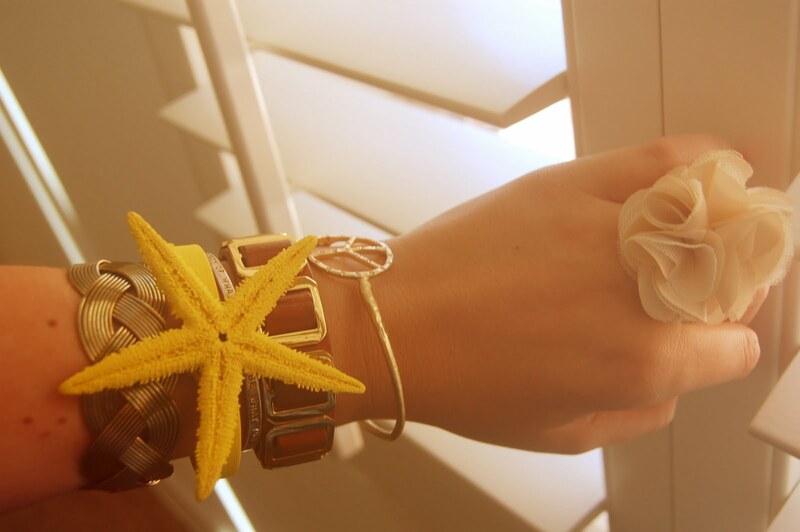 It is a really great idea but that's not a real starfish right? 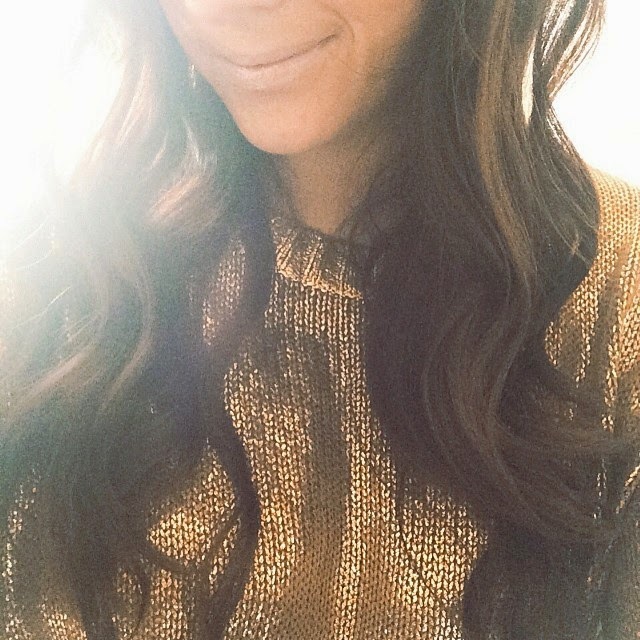 I had another idea for a DIY bracelet on my new blog.